Welcome back from Spring Break vacations. We hope everyone has had a pleasant week. Grade 2 is ready to begin again and look forward to things coming up in our calendar. Friday this week on April 19 is Earth Day and the Eco Fair at AAS and students can wear clothes that are natural earth colors like greens and browns and blues to celebrate the day. Uniforms are not necessary. The children/explorers have worked very hard this term with Expo, Student Led Conferences, new math units and exploring. So, it’s the perfect time to take a break. 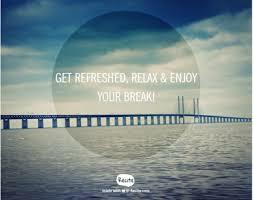 Wherever you go or whatever you do, be safe, relax and enjoy! 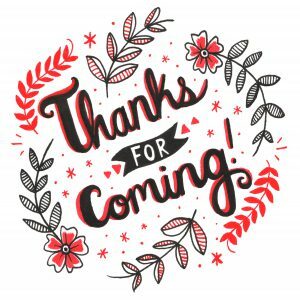 Student Led Conferences – A thank you. Thank you to everyone for joining in the Student Led Conferences today. The children had been busy preparing for your visit and enjoyed taking the lead and sharing their learning with you. We have one more week before Spring Break. It’s so exciting! We are very excited about student-led conferences on Thursday, March 28th. It’s a great opportunity for the kids to share what they’ve been learning and working on in our classrooms. Do let them lead. It is very tempting to want to take over and guide the discussion. If you can, please don’t. That said, do help keep them on task and on schedule. If they want to spend 30 minutes talking about math, please don’t let them. We are well-balanced learners. Please encourage them to show you the evidence of that. Do ask questions. We’ve been working all year on supporting details. Your child should be able to provide them. Feel free to push a little. Do celebrate the good. All of them have many reasons to be proud. Acknowledge those. Do celebrate the opportunity to learn. Mistakes happen. We hope that the kids will show you work that is maybe less-than-perfect. When they do, ask them what they learned from their less-than-perfect work. Do be present. We know we’re all excited about our holidays and that we’ve all got at least twenty other things going on right now. For an hour on Thursday, please make sure that your cell phones are off and that your child is the center of attention. Again,we are very excited about Thursday, and we look forward to seeing you all here. Please note that Student-led Conferences are interactive experiences. The teachers and students will spend much time and effort preparing the classroom so that your child can share their learning journey with you. It is not possible for teachers to recreate this rich experience on an alternate day. As such, teachers will NOT be able to reschedule Student-led Conferences for a different day. We highly encourage you to plan to attend the conferences on March 28. As always, if you have specific questions about your child’s progress, please contact the teacher to speak with them. This is true for classroom teachers and single subject teachers. What’s Happening in Grade 2? Student-Led conferences: Student led conferences will be held next Thursday, March 28. An email with information and sign-up instructions went out last week. Check your inbox if your haven’t signed up yet. During the conferences, teachers will have centers available for different subjects where students will share various items and engagements from the year so far. The value here is in the discussions. In order to help you engage your child in conversations about their growth this year and their next steps, please see this link for some Parent helper questions you can ask during the conference to stimulate a deeper learning conversation. 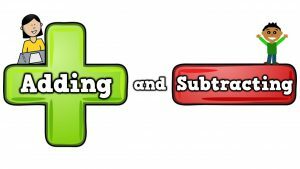 Math unit 5: (From Eureka) In Module 5, students build upon their mastery of renaming place value units and extend their work with conceptual understanding of the addition and subtraction algorithms to numbers within 1,000, always with the option of modeling with materials or drawings. Please see links below for more Unit 5 information. Sign ups for Student Led conferences begin March 14th. Sorry for any confusion. Thank you for coming to our EXPO! Thank you to coming and supporting your child at the EXPO today. It was wonderful to see everyone engaged and excited about learning! Please note that Student Led Conferences are coming soon! On March 28th we will have our Student-led Conferences’ Day. Sign ups will begin on March 14. Information on the conferences and how to sign up are included in this letter. The deadline for signing up is on March 27th, 12:00. Please use this link to signup. During conferences, students will be sharing the progress they have made this academic year. Parents are always free to schedule an additional meeting with teachers on another day if they would like a more detailed conversation with their child’s teacher. Each session is scheduled for a one hour block with up to five families at a time in the classroom. For more information about student led conferences, please click on this link. To schedule a conference with an Elementary School (ES) teacher, please select the name of your child’s homeroom teacher you’d like to meet with and select a convenient time slot. There is no sign-up required for Single Subject teachers. They will also have learning engagements set up. I encourage you to visit them. If you need to have a meeting with Dr. Graybill (the School Physiologist jospeh.graybill@aas.ru ), Ms. Sharon Ronan (ES Counselor sharon.ronan@aas.ru ), or Mrs. Donna Hinton donna.hinton@aas.ru directly to book a time slot for the day of the conferences. Thank you in advance for scheduling your appointments! It’s time! Your child’s Grade 2 Expo has arrived. 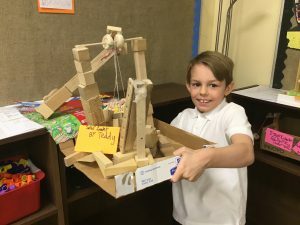 You may have noticed many different kinds of child created simple and compound machines appearing on display in the grade 2 hall this week, especially if you went to the father daughter dance on Saturday evening. We have spent time trying to use our knowledge of force and motion and simple machines to create. Some of us finished, some of us did not finish, but we all have something we want to explain and show you. We want to tell you about the whole process of our learning journey about force and motion starting with the beginning pre-assessment or provocation through to the end where we draw conclusions from our learning and hopefully think about action we can take as a result of our learning. So, if you can come, (parents), see you on Tuesday morning at 8:45 on March 5. Reminder: Your child should wear their formal uniform, just as they did for yearbook photos and for parent conferences. Please come and join Grade 2 on Tuesday morning, March 5th, 2019 to experience our EXPO on our Unit of Inquiry for How the World Works through the eyes of your child. Your child will guide you through the entire process of a unit, from “Tuning In” –> “Finding Out” –> “Sorting Out” –> “Going Further”, “Making Conclusions” –> “Taking Action”. Come and experience your child’s learning journey. Enter your email address to subscribe to the Grade 2 blog and receive notifications of new posts by email.